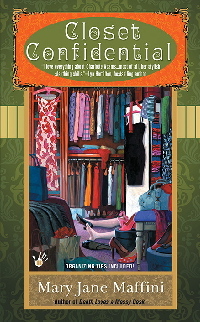 “Show me your closets and I’ll show you your secrets,” professional organizer and amateur sleuth Charlotte Adams likes to say. This is too true for comfort in Charlotte's latest project. As Charlotte seeks to reassure her clients that the drowning death of their daughter was not murder, the truth turns out to be quite different. And naturally, much more dangerous.